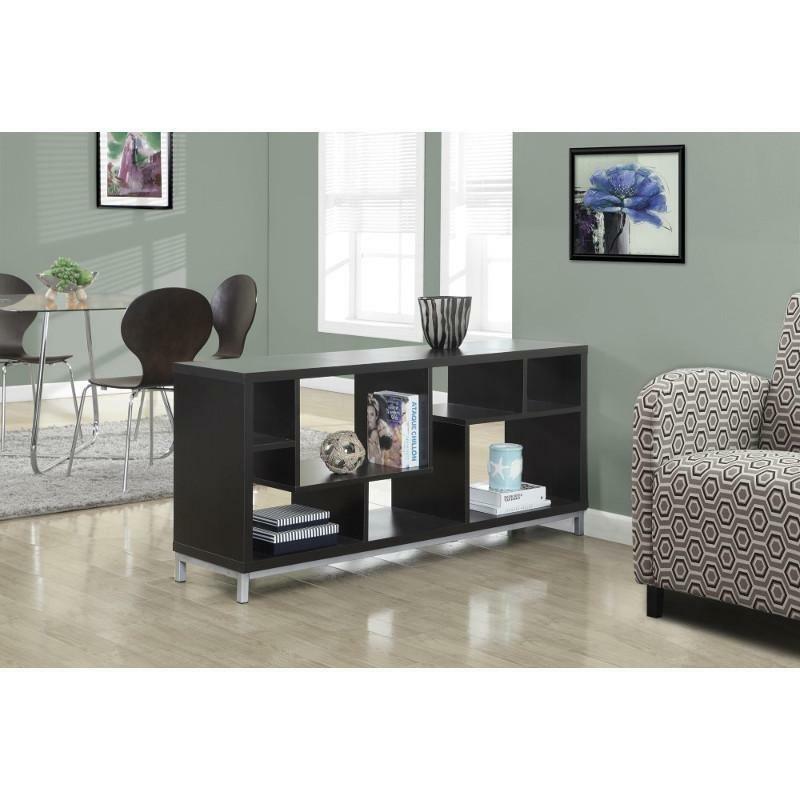 Decorate your living space with this asymmetrical work of art. 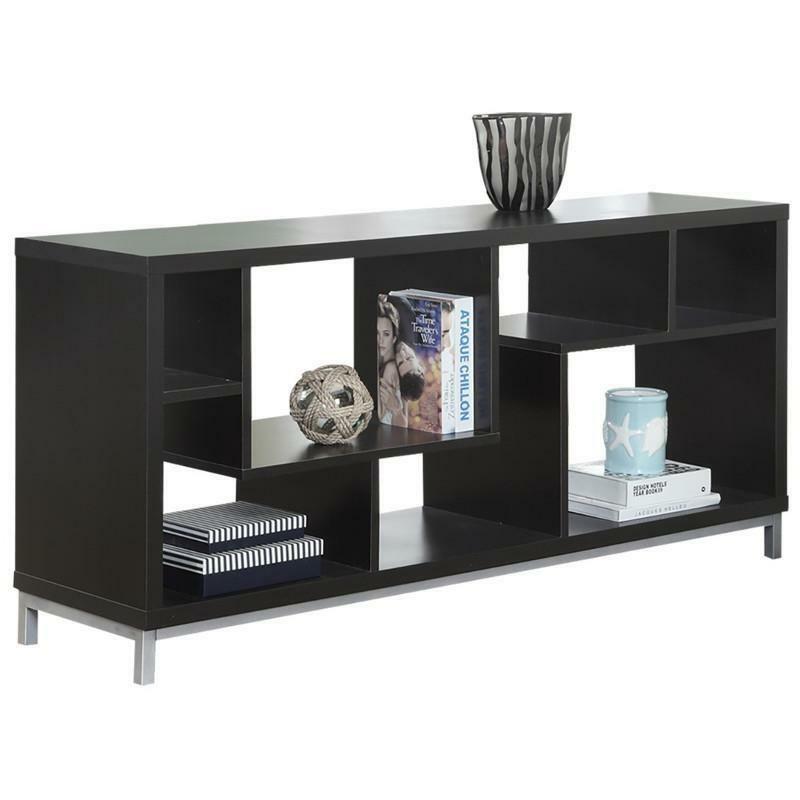 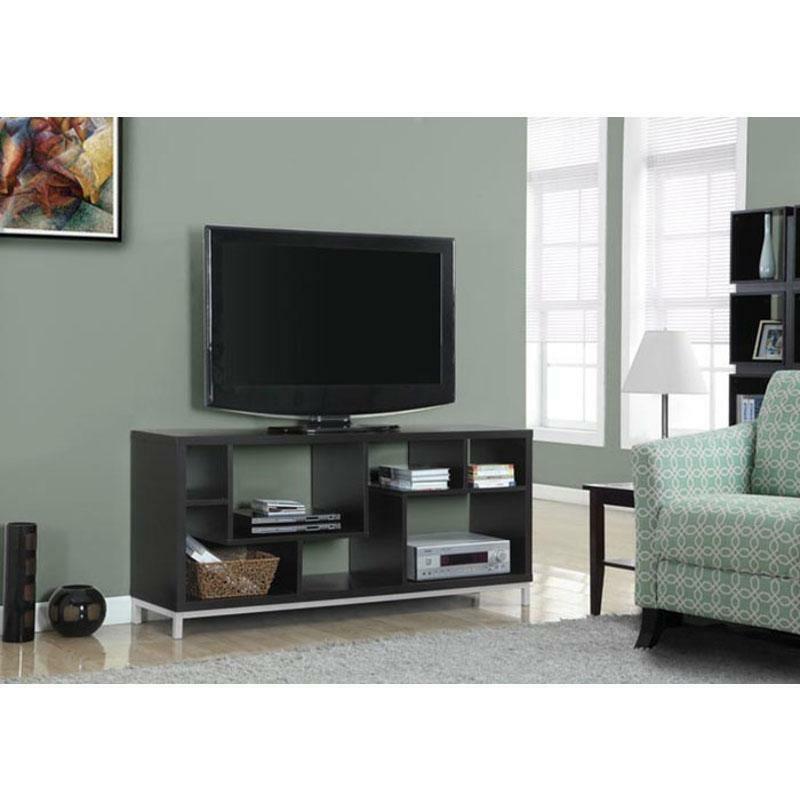 This multi-purpose tv stand / room divider is supported by stylish chrome metal accent legs. 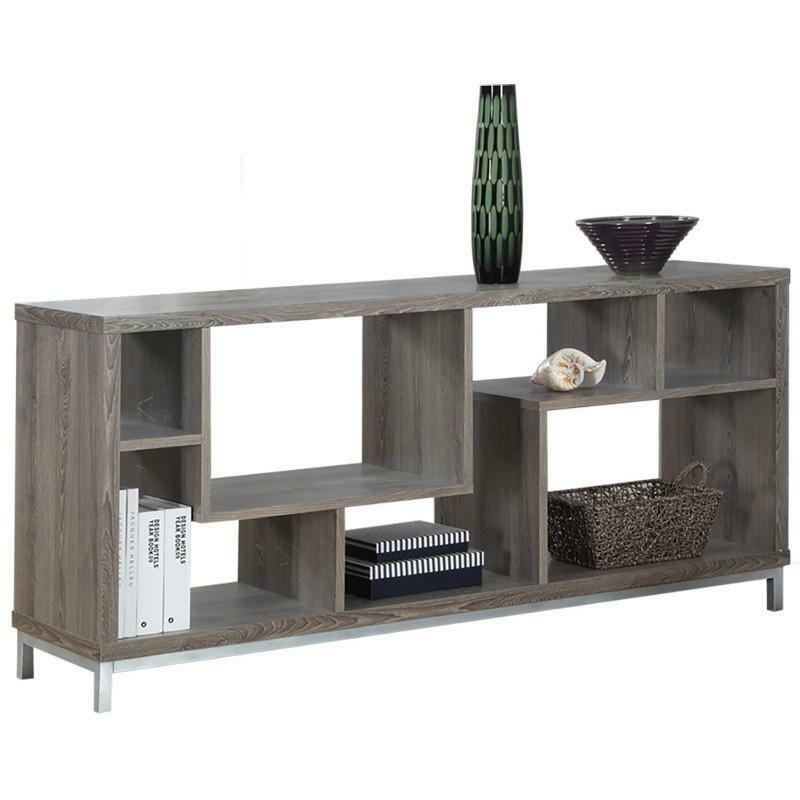 Thanks to a thick panel design and 7 open concept shelves which are perfect for storing electronic components or displaying your favorite decorative items, this piece is a must have in any home.